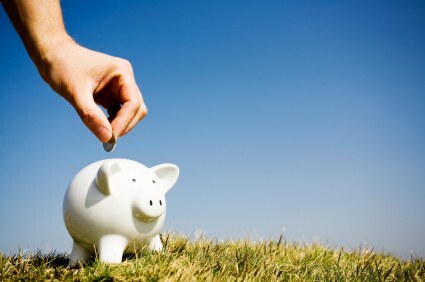 Our Catholic Family Life .com: So how much are we really saving? So how much are we really saving? At this moment, I am sitting down with my hot tea and calculator to finally figure out--once and for all--how much we're really saving with this whole cloth diapering thing. Are the savings really going to be that significant? Will the yuck-to-savings ratio make this worth it? No longer am I going to rely on company claims or other mama's calculations. It is time for me to do my own math. My sleeves are rolled up. My pencil is sharpened. And I've just tied on my thinking cap. Watch out! Since The Hubs is sound asleep on the couch beside me right now and since The Little Man is sound asleep in his crib, it's the perfect quiet, rainy night to really hash this thing out. Here we go. I'm going to compare the cost of disposable diapers and wipes with the cost of purchasing and washing reusable diapers and wipes. First, let's look at the data I've collected. On average, we go through 8 diapers a day and use 14 wipes. Depending on the brand and absorbancy of disposable diaper that we buy, a day's worth of disposable diapers can be as inexpensive as $1.72 or as pricey as $3.04. We went back and forth between them, as we experimented with what brands caused the most blow-outs. So, let's take an average of the two and simply say that a day's worth of disposable diapers cost us roughly $2.38. Together disposable diapers and disposable wipes total $2.82 a day. Since most little boys begin potty training at age 3 and probably take 3 months to get it down pat, we'll expect to have a total of 3.25 years of diapering ahead of us. That means that disposables will cost us a whopping total of $3,345.23 when this is all said and done. Ouchy. So now let's look at those cute cloth diapers I've collected. Here are the facts: I bought my first Charlie Banana cloth diaper (just to try it!) for $20.99. After liking it, I spent $109.99 on a 6-pack of them from Target. Then I picked up two more cloth diapers on consignment, spending $5 for one and $8 for another. I bought a portable wet bag for $15.88. I bought reusable wipes for $10.99. Together all these purchases total $170.85. But there's more to the equation. Consider this: After factoring in the cost of water, the cost of the washing machine, the cost of the drier, the electricity to run both, and laundry detergent, it looks like it costs us approximately $0.83 to wash and dry a small load TWICE. 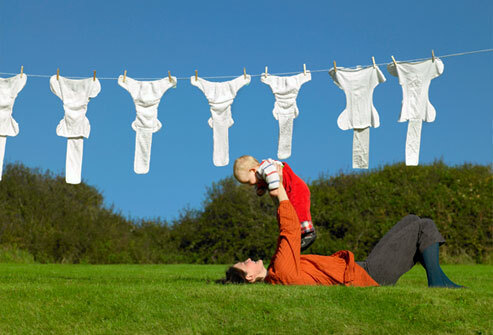 With cloth diapering, I do two small washes a day. So, in 3.25 years of diapering, it costs $984.59 to wash them. Add on top of that the initial start-up costs I paid, and you get a grand total of $1,155.44. So what percent of $3,345.23 is $1,155.44? It is approximately 35%. That means we have a savings of 65%. Over the next 3.25 years, we can expect to save $2,189.79. Every day, we are saving $1.87! Every time we reach for a cloth diaper instead of a disposable one, we are saving $0.23! And the savings are really adding up. UPDATE: After spending HOURS tonight calculating the above, I then stumbled across this wonderful online calculator which can help you instantly calculate your savings. All you have to do is plug in the initial cost of your cloth diaper supplies, the average cost per diaper of the disposable ones you've used, the estimated length of time that you expect to use the diapers, the cost of detergent per load, the cost of electricity per kilowatt hour (which should be listed on your monthly bill), what type of machines you have, and your water rate (per cubic meter). You can find the online calculator here and try it for yourself!